Dedicated to the lamb, one of the symbols of rural culture. 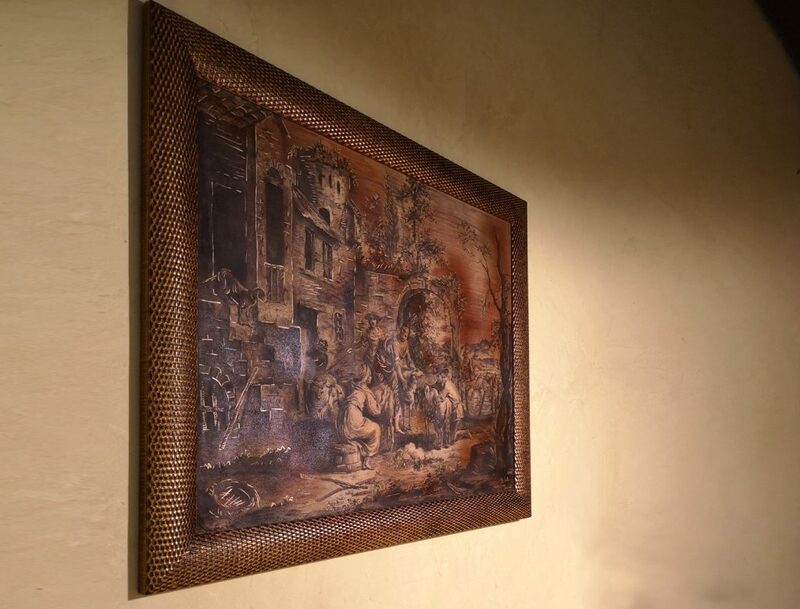 The walls are embellished by a painting showing one of the most characteristic moments of pastoral tradition: shearing. This double bedroom, furnished with Tuscan arts-and-crafts, precious fabrics and exposed beams, is provided with a splendid personal balcony where you can relax enjoying the typical slow rhythm of life of the rural world of times gone by. The strategic point of our farmhouse will allow you to discover fantastic territories. Discover the most beautiful countries that surrounded our structure!